At the core of our Durant dental practice is a friendly team of professionals that are dedicated to your utmost comfort and optimal oral health. We view each patient as a unique individual and tailor each treatment to your specific needs. As part of our commitment to providing close, personalized attention to every patient, we want to encourage patient communication. Please know that we are here to provide outstanding patient care and that we value the trust you have placed in us. Contact us today to schedule a visit with our team! Tina joined our practice in 2006. 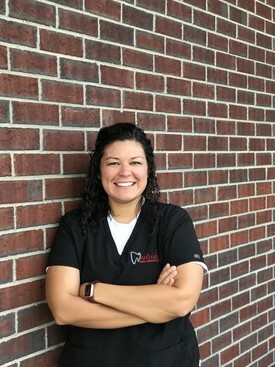 She holds a bachelor’s degree from Tarleton State University, an associate’s degree from Howard County Junior College, and certification in dental hygiene from the UT Health Science Center. 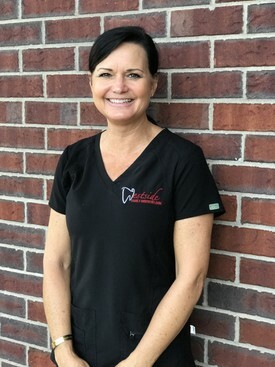 Tina partners with our patients to achieve their dental goals and enjoys providing the tools and education to optimize oral and overall health. 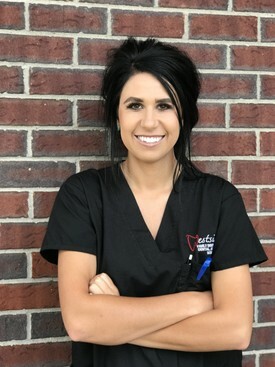 She stays current with modern dentistry through continuing education and is a member of the American Dental Hygienists’ Association and Oklahoma Dental Hygienists’ Association. Tina likes to spend time with her family, travel, and garden. She helps those in need through mission work and gives back to her community through elementary education programs. Tina is married to husband, Will, and has one son, five horses, and a dog. She’s a rodeo competitor who raises registered Black Angus cattle and trains horses on her ranch. 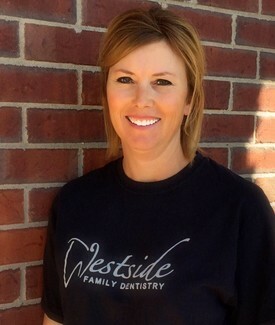 Morgan joined our Westside Team in 2014. She stays up to date with modern trends in dentistry and enjoys meeting new patients and seeing amazing dental transformations. 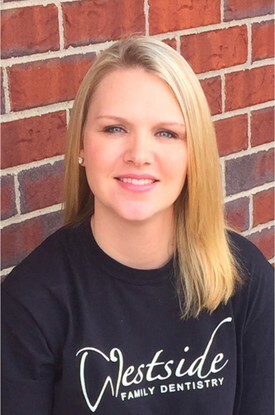 Outside of the office she enjoys spending time with family and friends, fishing, and going to rodeos. She has one dog, Riggins who is her fur baby. Carla came to our practice in 2007 to assist Dr. Beaver. She holds certification in X-ray and radiology safety and stays current with modern trends in dentistry. 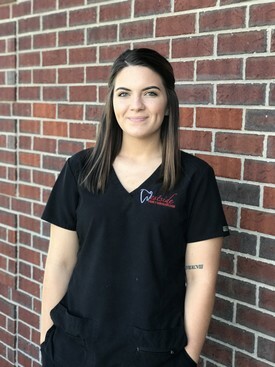 Carla enjoys meeting and getting to know our patients. She’s seen firsthand the amazing results we deliver, and she’s proud to be part of a quality team. Carla is married with two beautiful daughters. She likes to fish and spend time with her family. 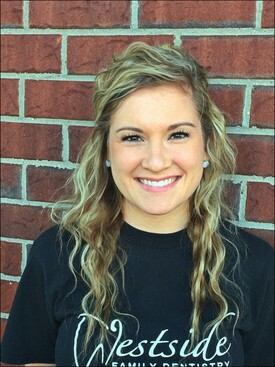 Ashley joined our team in 2010. She holds certificates in Coronal Polishing, X-Rays and Orthodontics. 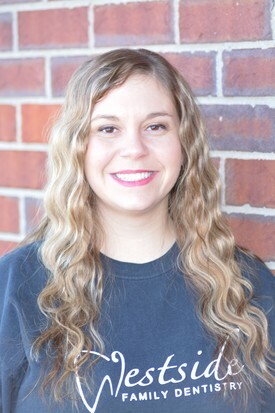 Ashley loves watching the transformation of patients smiles through orthodontics and cosmetic procedures. Ashley also works up at the front office to help out. Ashley has been happily married to her husband, Cameron for eight years. They have two wonderful sons, Kelton and Wyatt. She enjoys hunting and spending time with family and friends. 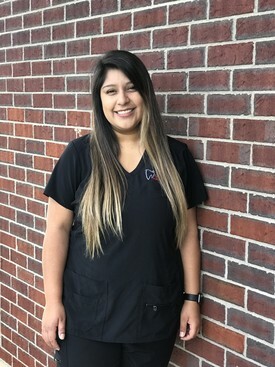 Mayra joined the westside team in 2017. She has been an assistant for 3 years. 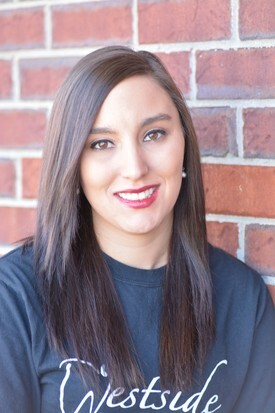 Mayra is also an instructor for our Westside Dental Assistant school. In her spare time she enjoys the company of her 6 year old daughter Elissa. Keasha joined the Westside team in early 2018. 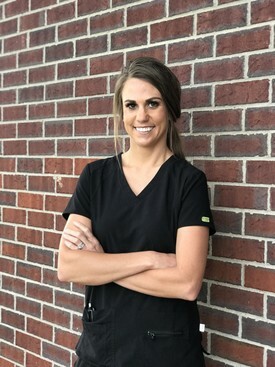 She was a student in the first Westside Dental Assisting School, and graduated at the top of her class. Keasha enjoys meeting new patients and helping them feel comfortable and confident during their visit. Outside of work, Keasha likes to spend time with her friends and family. I Graduated from Odessa College with an Associate's in business management and Occupational safety and health. Also, a graduate from Westside Family Dental Assistant school. Married to Jeremy Mullens and we have two kids. My hobbies include watching and helping the kids with their activities, riding horses, and being with family. Toi joined our practice in 2011. Toi has worked in the dental field for 8 years. She has one daughter, Leila. Outside of the office she loves spending time with family, playing, watching movies, and coloring/reading with her daughter.